'Please Call Me' inventor Kenneth Nkosana Makate wants the court case lodged by his previous funders to be dismissed. After a ground-breaking court victory for 'Please Call Me' inventor Kenneth Nkosana Makate, his previous financial backers have begun their own court battle to try get a piece of his potentially multibillion-rand pie. A company called Raining Men Trade and businessman Christiaan Schoeman have launched an urgent application in the North Gauteng High Court in Pretoria, in an attempt to derail Makate's negotiations with Vodacom over how much money he is ultimately owed for the 'Please Call Me' concept. Raining Men Trade claims it has the right to be involved in his negotiations with Vodacom, as it was the early litigation funder of Makate's eight-year court battle with the operator. On 26 April, the Constitutional Court ruled in favour of the former Vodacom employee, confirming what he had been trying to prove through numerous court proceedings since 2008: that he is responsible for coming up with the lucrative 'Please Call Me' idea. Vodacom was ordered to start negotiations "in good faith" within 30 days of the judgement, to determine an amount to be paid to Makate, who came up with the concept in 2000 when he was working as a trainee accountant at Vodacom. 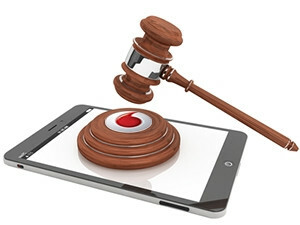 Vodacom confirmed to ITWeb on 27 May that negotiations had begun between the telco and Makate. However, last week, Raining Men Trade launched an urgent application to have the negotiations stopped. The court papers cite Makate and 11 other respondents, including Vodacom and Makate's lawyer Wilna Lubbe and her law firm Stemela & Lubbe Incorporation. According to an affidavit from Schoeman, he and Raining Men are asking the court to interdict Lubbe, Stemela & Lubbe ? and a number of other named lawyers ? from representing Makate in his negotiations with Vodacom. In addition, they want to interdict Makate "from appointing any legal representative" without their consent. They also want to block the lawyers from receiving any payment from Vodacom on behalf of Makate. Alternatively, they want Vodacom to pay him no more than 50% of any settlement agreement until Raining Men is included in the settlement discussions. Schoeman says from 2011, he acted as a representative for Makate to find funding for his litigation - through Raining Men Trade - and also says he put together the very legal team he is now seeking court action against. He says he personally invested in the case, along with others, including his ex-wife Wilma Schoeman, businessman Kevin Jenkins, and Raining Men's directors - Errol Elsdon and Tracey Roscher. Elsdon is founder of litigation funder Sterling Rand. Schoeman claims each investor was allocated 5% of the final settlement and carried the entire risk in the event that Makate lost the case. Schoeman says as per the original funding agreement, Makate had agreed to receive 60% of any settlement, but in 2013, after additional funding was taken from Luxembourg-based Simba Investments, all investors and Makate had their percentages "watered down". Makate's share of the proceedings became 53%. Schoeman says he spent the best part of six years working on Makate's case against Vodacom and over that time raised more than R2.4 million towards the costs of the case. 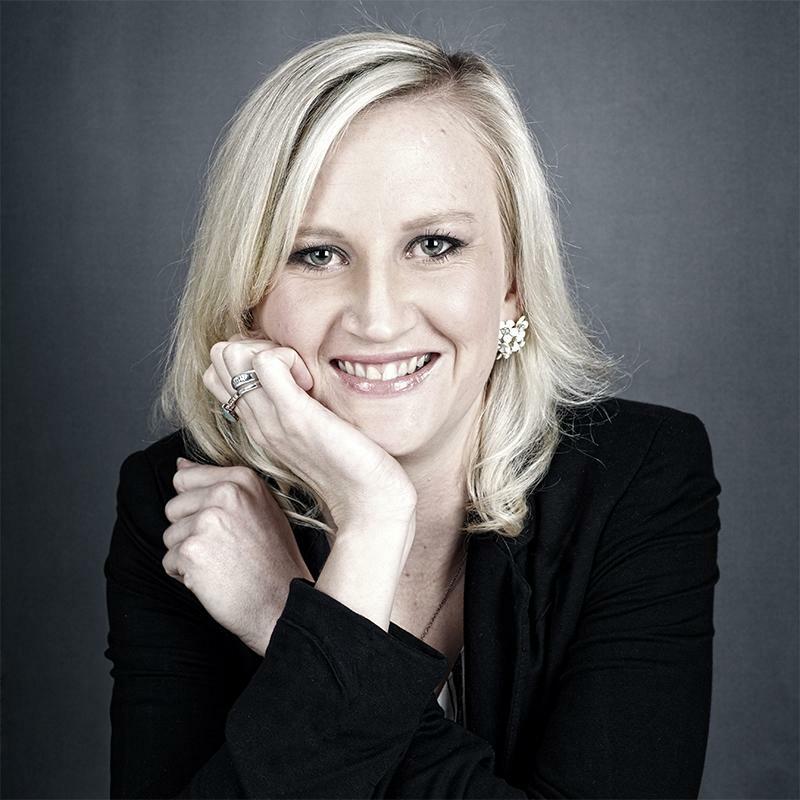 Schoeman has made a number of allegations against Lubbe - including that she inflated her fees and initiated "a conspiracy" to try cut out other investors. He says she and her firm coerced Makate into cancelling his funding contract and admits "foolishly I went along with the conspiracy". "Now, with the benefit of hindsight, I realise that not only was my agreement to go along with the conspiracy foolish but it was downright dishonest," Schoeman says in his affidavit. To this end, Makate's funding contract with his previous investors was cancelled in January 2015. "The whole cancellation is a sham conceived and orchestrated by Lubbe and executed by me," Schoeman says. However, Lubbe's own affidavit on the matter paints a different picture. She calls Schoeman's claims of a conspiracy "a blatant lie" saying he "is trying to blame me as attorney for his own scheme to get rid of his co-funders". She says the financial backers were not fulfilling their funding duties in terms of the agreement which eventually resulted in the cancellation thereof. "My ethical duty is not to look after the interests of funders, but to fulfil the mandate in the litigation," she says. "Schoeman's active support of the cancellation was his own decision for his own personal reasons. His self-pity is evident and he unfortunately believes his own lies," according to Lubbe. Makate and his legal team have asked the court to dismiss Raining Men and Schoeman's application. A responding affidavit from Makate says there is no basis to the applicant's claims that they should be involved in his settlement discussions, because the funding agreement was cancelled last year. "On the applicant's own version, there were multiple breaches of this agreement, as the funders failed to provide sufficient funding to cover my legal expenses," says Makate. He says as a result of the breaches, the funding agreement was cancelled and Schoeman "fully accepted this cancellation". He also says Raining Men was never properly nominated under the agreement. Makate adds Schoeman and the other funders were happy to walk away after he lost his High Court battle and it seemed there was no prospect of success. At the time, he says, "my decision to cancel the funding agreement suited the applicants' interests". He says "it's telling" that the applicants did not declare an official dispute about the cancellation at the time, but only sought to take action after the Constitutional Court hearing last year "when it appeared that my claim may succeed". He also vehemently denies Schoeman's claims that the cancellation of the funding agreement was a "sham" or part of an elaborate conspiracy. He denies the "unfounded and defamatory allegations" against himself and his attorneys that they were willing participants in the fraud. He also defends his lawyer, Lubbe, saying he is "outraged" by the allegations against her as she "has made great sacrifices to make my victory at the Constitutional Court possible. She has gone above and beyond the call of duty on my behalf. "These allegations are entirely baseless and must be rejected in the strongest terms." Makate confirms he and Vodacom have commenced discussions, and the court action from Raining Men and Schoeman "threatens to paralyse these negotiations and to deprive me of my hard-fought right to negotiate with Vodacom". The High Court application is expected to be heard next week.